Check out this video from Access Hollywood which is part of behind the scenes clips inclkuded in The Hunger Games DVD/Blu-Ray where The Hunger Games cast talk about them bonding on set! 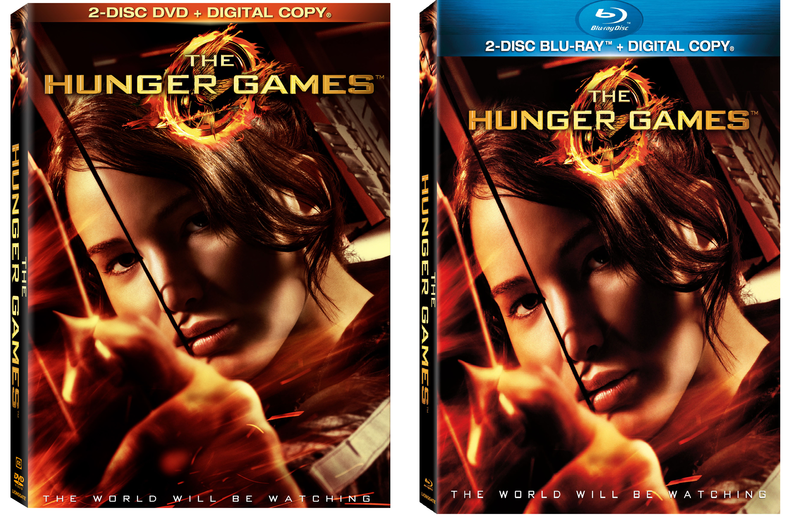 The Hunger Games DVD and Blu-Ray pre-orders are now available and set to release on 18 August 2012 in Singapore. “The Hunger Games: Catching Fire” is scheduled for release on 22 November 2013 in USA. Entertainment Weekly has revealed an exclusive behind the scenes clip for ‘The Hunger Games’ movie where Jennifer Lawrence talks about playing Katniss Everdeen. Before The Hunger Games, Jennifer Lawrence was known mostly for indie fare, like her Oscar-nominated turn in Winter’s Bone. In this EW exclusive clip of a behind-the-scenes feature from the upcoming Blu-ray release ofThe Hunger Games, Lawrence discusses her fears about signing onto a popular franchise film, her advice from her mom, and why a good script is a good script, no matter the size of the movie. As the video is not embeddable, please visit Entertainment Weekly to watch it. 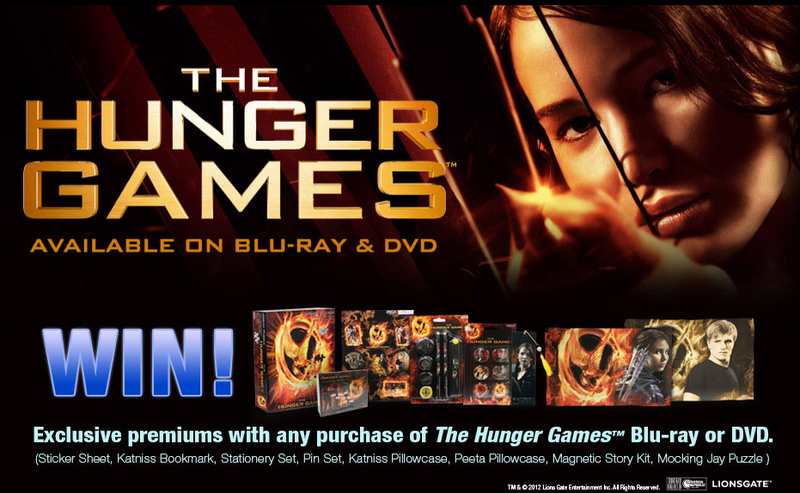 Meanwhile, ‘The Hunger Games’ DVD and Blu-Ray are available for pre-order from Gramophone. 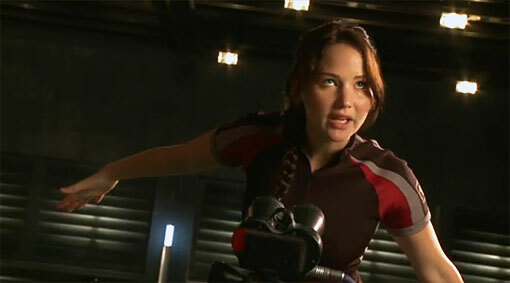 Entertainment Weekly has an exclusive preview on the extra behind the scenes footages that will be included in “The Hunger Games” DVD and Blu-Ray on Entertainment Weekly website. However, many thanks to DWTC, we now have a YouTube version for your viewing pleasure. 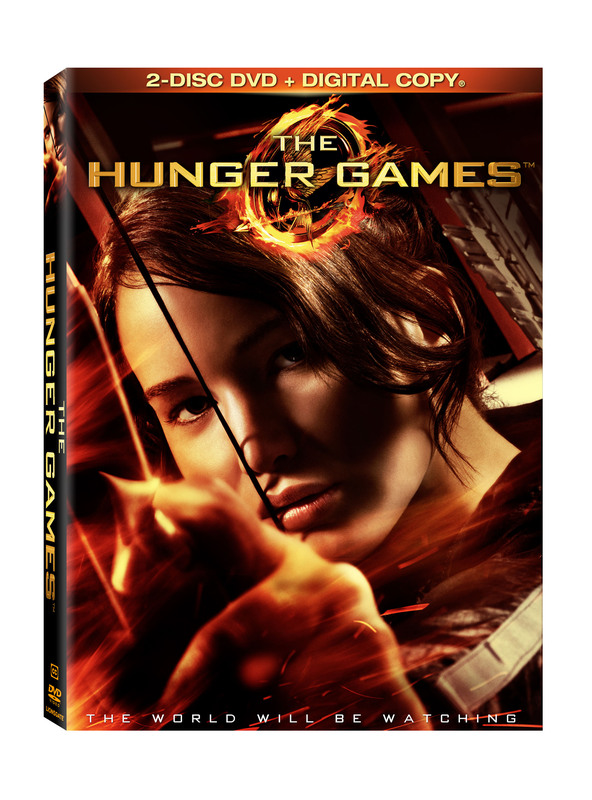 “The Hunger Games” DVD and Blu-Ray is scheduled to be released on 18 August 2012 in USA. If you are in USA and attending San Diego Comic-Con International 2012, here’s your chance to get an exclusive Comic-Con Blu-ray Disc box art cover signed by selected The Hunger Games cast! WHAT: In advance of the hugely anticipated home entertainment release of The Hunger Games juggernaut on 12:01 am Saturday, August 18, select cast members will participate in signing events at San Diego Comic-Con International 2012. Occurring at the Lionsgate Booth (#4035) on Saturday, July 14 at 11:00 am and 5:00 pm, fans will have the chance to meet the actors behind Cato, Rue, Thresh, Clove, Marvel and Primrose Everdeen, plus have an exclusive Blu-ray Disc box art cover signed by the cast. An exclusive Comic-Con Hunger Games poster will also be distributed at the Lionsgate booth throughout the duration of the convention. The first film in Lionsgate’s The Hunger Games franchise arrives on 2-disc Blu-Ray (plus digital copy), 2-disc DVD (plus digital copy), On Demand and Digital Download, complete with three hours of never-before-seen special features. Attending media may also participate in an invitation-only press junket with the attending cast at San Diego’s Hard Rock Hotel. Saturday, July 14 at 11:00 a.m. and 5:00 p.m. Following Entertainment Weekly‘s exclusive on ‘The Hunger Games’ Blu-Ray/DVD release on 18 August 2012 in USA, Lionsgate has also released their press release and a YouTube version of ‘The Hunger Games’ Blu-Ray/DVD trailer. SANTA MONICA, CA, May 23, 2012 –Lionsgate’s The Hunger Games juggernaut will arrive on home entertainment at 12:01 A.M. on Saturday, August 18, as the first film in Lionsgate’s (NYSE: LGF) The Hunger Games franchise, which has already grossed nearly $400 million at the North American box office and is approaching $650 million at the worldwide box office, debuts on 2-disc DVD (plus digital copy), 2-disc Blu-Ray (plus digital copy), VOD and digital download with three hours of previously unavailable bonus materials in the biggest home entertainment launch in Lionsgate’s history, the Company announced today. The film, based on the New York Times best-selling novel from writer Suzanne Collins, achieved a remarkable four-week run as the #1 film at the North American theatrical box office where it has already grossed $392 million, ranking as the 14th highest-grossing film of all time, and it is approaching $650 million at the worldwide box office with an early June opening slated in China. 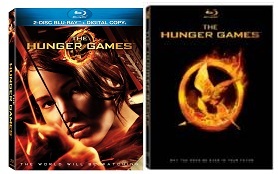 The 2-disc Blu-ray and 2-disc DVD arrive loaded with over three hours of extensive bonus materials including the comprehensive eight-part documentary, “The World is Watching: Making of The Hunger Games.” Other special features include a sit-down conversation with director Gary Ross as well as numerous featurettes that examine the global success of the books, the creation of the control room in the film and the filmmakers’ motivation behind creating new scenes that were not in the book plus much more. The Blu-ray Disc set contains an additional exclusive feature, “Preparing for the Games: A Director’s Process,” which looks at the progression of taking three key scenes from the book to the screen. The Hunger Games Blu-ray Disc and DVD is a must-have film that is hailed as “exciting and thought-provoking in a way few adventure dramas ever are” (New York Daily News). Fans will be able to pre-order the Blu-ray Disc and DVD, starting on Friday, May 25th, for $39.99 and $30.98, respectively. Directed by Academy Award® nominee Gary Ross (Seabiscuit), The Hunger Games, starring Academy Award® nominee Jennifer Lawrence (Winter’s Bone), features an ensemble cast that includes Golden Globe® winner Donald Sutherland (Citizen X), Academy Award® nominee Stanley Tucci (The Lovely Bones), Academy Award® nominee Woody Harrelson (The People vs. Larry Flynt), Lenny Kravitz (Precious) and Emmy® nominee Elizabeth Banks (TV’s “30 Rock”). The film also stars some of the industry’s brightest up and coming actors such as Josh Hutcherson (The Kids Are All Right) and Liam Hemsworth (The Expendables 2). The Hunger Games is the first in a trilogy of books published by Scholastic that has already become a literary phenomenon with over 36.5 million copies in circulation. Set in the future, one male and one female from each of the twelve districts of the nation is forced to participate in the annual competition called The Hunger Games, which is broadcast live throughout the country for the entertainment of the Capitol’s wealthy residents. Sixteen year old Katniss Everdeen (Lawrence) volunteers in her younger sister’s place to enter the games, and is forced to rely upon her sharp instincts as well as the mentorship of drunken former victor Haymitch Abernathy when she’s pitted against highly-trained Tributes who have prepared for these Games their entire lives. If she’s ever to return home to District 12, Katniss must make impossible choices in the arena that weigh survival against humanity and life against love. Title Copyright: © 2012 Lionsgate Films Inc. All Rights Reserved. Entertainment Weekly has released exclusive news on ‘The Hunger Games’ Blu-Ray and DVD which is scheduled to be released on 18 August 2012 in USA. The first film based on Suzanne Collins’ best-selling novel trilogy hits Blu-ray, DVD, and digital download at 12:01 a.m. on Aug. 18. Lionsgate kicks off its official 12-week countdown to the release on Friday, May 25, when the Blu-ray and DVD will become available for pre-order. The two-disc set will include over three hours of unreleased material, with features that provide insight into how the film was made, interviews with the cast and crew, and details about some of the story lines that differed from the book — like President Snow’s character (Donald Sutherland) and the role of the game maker (Wes Bentley). An eight-part documentary entitled The World is Watching: Making of The Hunger Games delves into the behind-the-scenes aspect of creating the film. The extras also include the full-length “Propaganda Film” shown during the Reaping. By releasing the Blu-Ray/DVD at midnight, Lionsgate hopes to recapture the excitement from the midnight theatrical screening back in March. “The motion picture event of the year is poised to become the home entertainment event of the year, and with a midnight launch and midnight retail events scheduled at stores around the country, we expect to replicate the same level of consumer excitement generated by the film’s theatrical debut,” said Ron Schwartz, Lionsgate Executive Vice President & General Manager, Home Entertainment. 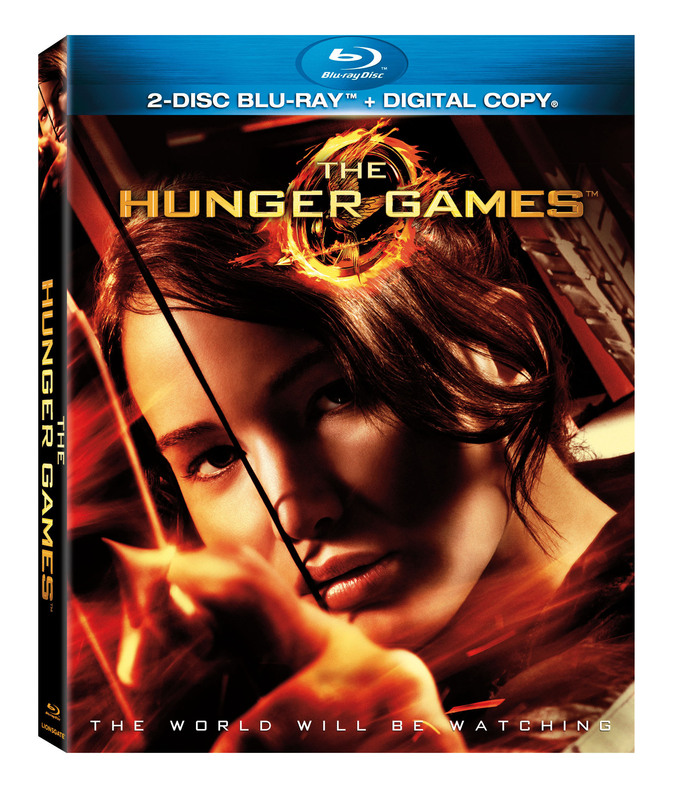 Visit Entertainment Weekly to watch the trailer for ‘The Hunger Games’ Blu-Ray/DVD. We are not sure when it will be released in Singapore yet but we will update you when we hear anything new.